There’s a big difference between generic, mass-merchandised oil filters and top-quality filters built to strict original-equipment standards. The generic filter has a pretty paint job and attractive packaging, but it may not even meet manufacturer warranty requirements. DENSO First Time Fit® oil filters feature a heavy-duty steel case to resist distortion, dual-layer filtration media for maximum engine protection, a molded, pre-lubricated o-ring to prevent leakage, and a silicone anti-drainback valve to protect the engine against damaging wear on cold start-up. 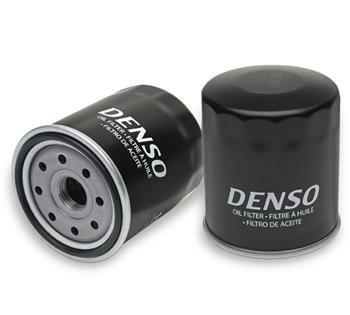 As an added bonus, DENSO filters also employ an innovative Torque Stopper case design that prevents over-tightening and simplifies installation, a great feature for do-it-yourselfers. Generic oil filters are no bargain. DENSO First Time Fit oil filters protect your precious vehicle investment. When it comes to oil filters, you can’t do better than DENSO. This is why we’re one of the world’s premier OE oil filter suppliers. We use this world class know-how to produce our First Time Fit line. Because each oil filter is put through DENSO’s rigorous manufacturing and testing process, you can be sure it meets our high standards for fit and performance.